Safety Officer, Safety Officer Course, fire and safety course, industrial safety course,fire safety course in chennai,diploma in fire and safety course. Safety Officer Academy is a Safety professional educational institute offering courses in the field of Fire and Safety education. Safety Officer Academy is promoted by National Safety Academy and established by St. John Safety and Health Society by Government of Tamil Nadu. The institute provides an extensive range of Safety professional courses in India that offer students that extra edge to be the best. Safety Officer Academy is known to be pioneers in the field of Fire & Safety education in India and provides Safety professional training through practical experience. 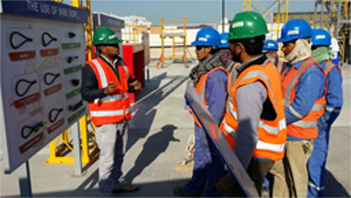 Safety Officer Academy offers to make each student ready to meet the requirements of industry professionals and have that added advantage necessary to build a lucrative safety career in India and abroad. Best Safety Professional Institute, Safety officer Diploma course, Safety Professional Courses, Safety Professional Diploma Courses, Online Safety Diploma Courses, International Safety Diploma Courses,fire safety course in chennai,diploma in fire and safety course. As a safety officer, it’s your job to keep people safe in the workplace. If you have an eye for detail, are a problem solver and love all things health and safety, this could be the job for you! An expert in the dangers that could preside in your working environment, your job involves careful planning to reduce the number of injuries, accidents and health problems that may occur. You will spend your time educating employees to take precautions, to keep themselves and any equipment they may be expected to use, safe. With every working environment being different to the next, this could be teaching techniques to help cope with the hours employees spend staring at a computer screen, to using potentially dangerous tools on a building site. As well as being good with people, you’ll need to be hot on typing up reports and knowing your health and safety legislations – this is where a training course comes in! Your job will involve the practical elements of health and safety, but also the behind the scenes planning, creating policies for the workplace and ensuring they work. Regular inspections and risk assessments are a must, as are accident records and keeping up to date with changes in the law. Affiliated with Employers' Federation of Southern India (EFSI) was setting up of the International Labour Organisation. At Safety Officer Academy we are not solely interested in teaching to pass tests. 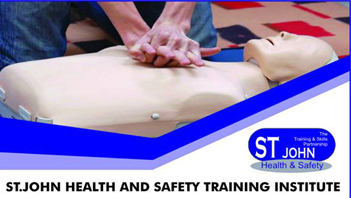 We also aim to provide the deeper knowledge and understanding required to work better and more safely. We provide 100% job assistance and support. Our students are satisfied safety practical classes. Fire safety course, fire safety course in chennai, diploma in fire and safety course, government fire and safety college in tamilnadu, safety officer courses chennai, tamil nadu, fire and safety course in chennai, fire and safety course in Anna Nagar, fire and safety course in Tamilnadu. Best Safety Officer Institute, Fire safety Diploma Courses.. Exceeded my expectations course time-insufficient level of instruction-Too advanced instructor presentations-Exellent.